Recent years have seen bees dying off en masse, but our flying friends may have found their salvation in an unlikely insect ally – a dangerously poisonous spider. 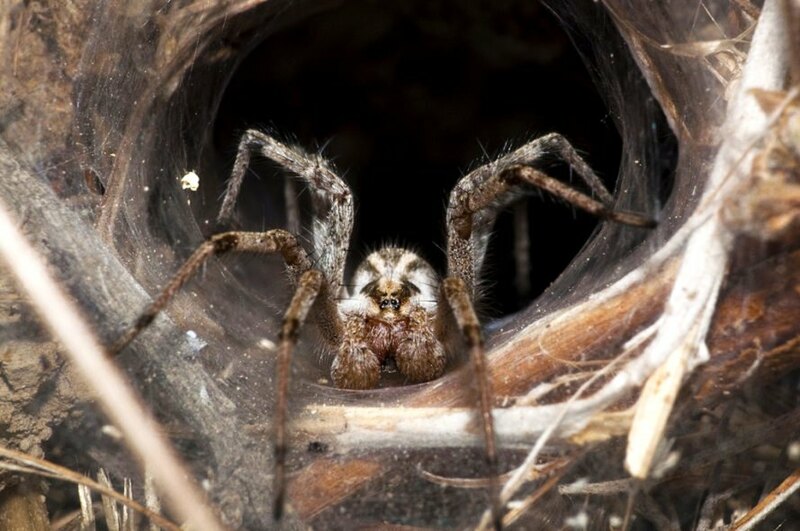 A bite from a funnel web spider could kill a human quickly, but new research by scientists at the University of Newcastle shows a mixture of venom from Australian funnel web spiders combined with snowdrop lectin creates a powerful “biopesticide” that could be used in place of pesticides believed to be killing off bees. The pesticides in question are called neonicotinoids or neonics, which researchers believe affects the nervous systems of bees, causing them to have a tough time learning and remembering – which affects their ability to do important things like looking for pollen and finding their way back to the hive. These pesticides are banned in Europe, but are still used in the U.S. Research shows the new spider venom “biopesticide” seems to have little to no effect on bees’ memory – even under high doses. At the same time it can kill species that impact crop yields – making it a win-win for farmer and bees alike. 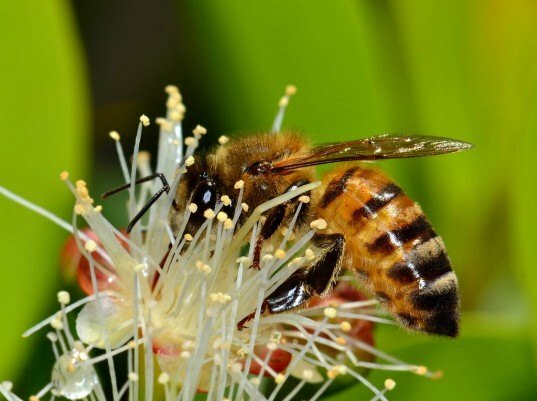 This is an important discovery because as many as 90 percent of plants in the world depend on bees for pollination, making them extremely important economically – as well as vital to human survival on planet Earth. Martin Edwards, one of the researchers in the study told Fast Company that it could be as long as eight years before the new spider-cide reaches farmers’ fields – as it will take time to develop a production system using synthetic genes and test to make sure it’s not dangerous to humans. Please link to the study you are summarizing.